Here are a few tips for practicing safe web browsing, which will help protect your personal information and your computer. Use the latest version of a modern web browser (Safari, Internet Explorer, Firefox, Chrome, etc.). When you download the browser or the update, make sure it comes from the legitimate source and not an imitation. Instructions on updating web browsers. Set your web browsers to automatically update. Updates often include security enhancements. Update your operating system (Windows or Mac OS). Disable popups in your web browser, which can lead you to sites that will result in exposure to viruses. Be wary of links in messages from people you don't know. These links can ask for personal information or download malware right to your computer. Choose your security questions wisely and be careful what personal information you post on social media sites. Security questions like "What is your pet's name?" or "Where were you born?" are used for password resets or recovery. The answers to these questions can come from your social media websites, like Facebook, and anyone can easily look them up. Only use your credit card information on reputable websites or websites you've used before. Check the web address of the website. Sometimes phishing websites can look like Ebay or Paypal, but they are really imitations designed to steal your personal information. 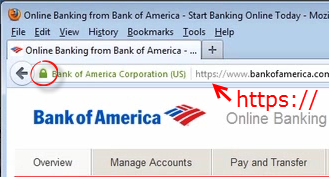 Always check the URL of the website you're on before entering personal information. 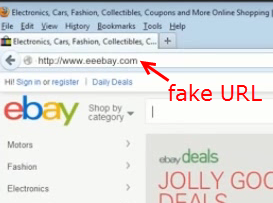 Be careful about following links inside e-mails that may guide you to fake sites. Rather than clicking these links, go to the company's website in your browser. URLs that begin with https:// indicate that your information on that site is encrypted, or secure. Some browsers include a lock icon in the address bar to indicate websites that are safe. Video For more information, visit this Hoonuit video.